Grace may be crazy. She acts crazy. Others tell her she is crazy. She is starting to believe she is crazy. The question isn’t whether she is crazy or not but whether a reader will care enough to find out. Grace’s mother died in a fire. Or from a gunshot wound. It was an accident. Or it was a hit by a man with a scarred face. Grace doesn’t know for sure but she swears that it was murder. 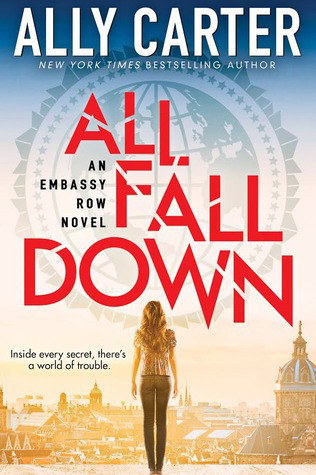 Moving around with her military father and settling on living with her ambassador grandfather isn’t helping her settle things down. It also doesn’t help that everyone – including herself – believes that she may have cracked. And her reckless, self endangering actions seem to prove that point. But has she? When she seems to spot the scarred man, her friends (other ambassadors’ kids) help track him down. Sorta. In the end the question of the scarred man is not answered but rather leads to more questions. This is a theme of the book – constant uncertainty. Both the main character, her “friends,” and even the death of her mother. Nothing is certain. And when you put the book down in the end you’ll be no closer to an answer. In this way it is not so much a full book but the start of a book. A prequel chapter at best. A normal ending of a book would have certain aspects cleared up and the challenges set up for the next book. This one ends with questions and nothing resolved. Not satisfying. But young readers will like it. 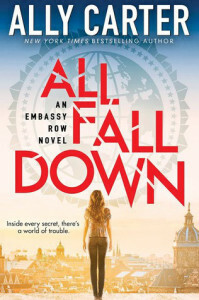 My teen reader (15 and also a fan of Carter’s other series) loved it. It was adventure and intrigue and she looks forward to the next one. I blame this on the Netflix effect where instead of watching a weekly show we instead now binge on episode after episode. The kind of expectation for sequels that now exists in a trilogy-filled Young Adult section has taught younger readers to accept and look forward to what many readers would have previously expected to be only the first part of a novel; not a completely separate novel. In the end, it’s not a great book in itself. There is very little story. Very little development and very little to recommend. But once the whole trilogy (or whatever number in this series will be) is completed it will likely be a fan favorite. And of course, Carter fans will be predisposed to enjoy it. My recommendation: either wait till they are all done and read them together or avoid this series and go for something more complete.